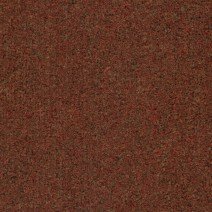 At Carpet Tiles Next Day our selection of Brown carpet tiles are a great choice for domestic and commercial use, ideal for high traffic areas, all varieties are easy maintenance and robust. When choosing any of the brown shades you can be confident that they are great quality, offered at low prices and are available in various shades and pile type making them perfect for blending in with any taste or décor. All of our carpet tiles are sold in boxes of 20 tiles and are 50cm x 50cm, each box holds 5m2. When you have larger areas to cover we can also offer a tiered pricing system, meaning the higher number you purchase more inexpensive the carpet tiles become. When looking for a fresh natural colour for your flooring, we suggest you peruse our Brown carpet tile ranges, all of which are suitable for both commercial and domestic use. We stock both 100% polypropylene and nylon fibre carpet tiles in this shade, making them all easy to maintain and long lasting. 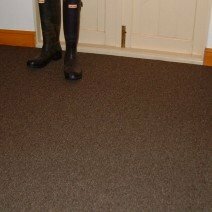 Our carpet tiles are measuring 50cm x 50cm and are sold in boxes of 20, one box will cover 5m2. All the brown carpet tiles have a 3mm thick bitumen backing removing the need for a separate underlay. 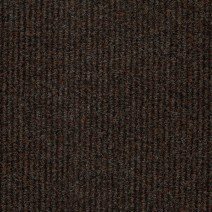 Our Rivoli Brown carpet tiles are a good value, entry level loop pile carpet tile, an ideal substitute for carpet on a roll, especially in busy areas where soiling may occur, they are produced from 100% polypropylene making them stain resistant. Carpet tiles are a cost conscious choice of flooring being removable and easily cleanable; they can have a longer life than a similar carpet. The Rivoli Brown tiles are a mid-brown shade interwoven with a lighter biscuit brown fleck. These smart carpet tiles are a sensible choice for hallways or meeting rooms, in the past they have been purchased for use in schools and village halls. But they can be successfully utilised in the home as they are a pleasant warm tone ideal for dining rooms, landings or conservatories. 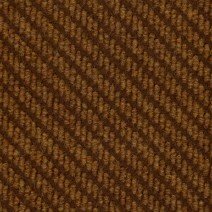 We have a Broad Rib option in brown named Hampton Brown. These carpet tiles are a rich chocolate hue, manufactured by the needle punch method again in 100% polypropylene, they have a deep ribbed cord texture making them a great tile to use in heavy footfall areas, they could be used in hallways, foyers or corridors in busy business premises or in a more domestic setting Hampton Brown would be ideal in areas where you have people regularly coming in from outdoors. These carpet tiles are especially durable and stain resistant. If you are looking for a slightly softer option to the polypropylene we can offer Loop Pile Clipper Brown or Cut Pile Geneva Terracotta. These carpet tiles are produced from nylon yarn one of the longer wearing fibres used in the production of carpet tiles, a good choice for heavily used areas. 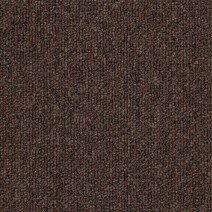 Clipper Brown are a lovely mix of dark to light brown hues, woven into a handsome loop pile. The Geneva Terracotta is a reddy/brown toned choice as the name suggests. These nylon tiles are our most enduring carpet tiles, long lasting and castor chair suitable, they are a first-rate selection for your business or for a home office. We advise the use of an adhesive to secure your carpet tiles down laterally. When laying carpet tiles in small areas where you would need around 100 tiles or less, we suggest using the double sided carpet tile tape, even when laying them dry and fitting them hard against the skirting boards, it would be advisable to use the double sided tape in doorways. If you are finding it difficult to decide on the colour or pile type of carpet tile for your premises, we would be very happy to send you some free samples to help you in your selection. If you click on our sample page in the grey footer below you can request up to nine carpet tile choices, we will despatch your choices via the next available 1st Class mail.